Luke Paddock admits that his showdown with Anthony Upton is the biggest test of his career to date. The Bloxwich super lightweight challenges his Ricky Hatton-trained opponent for the vacant English Super Lightweight Title in Cannock this coming Sunday, 24th July. The pair’s record and styles are almost identical. Paddock and Upton have just one loss each to their name and are both seen as stylists when it comes to the art of boxing. They collide at Chase Leisure Centre on a joint Black Country Boxing and Hatton Promotions bill next month with Paddock expecting a tough encounter. “This is the biggest test for me,” he told www.uko-boxing.com. “Training is going well but it’s got to because Anthony is a good kid. He’s a similar fighter to me; he’s very stylish and likes to use his boxing skills to break opponents down. “I’ve got to focus on what I’m doing in the gym. Our styles and records are almost identical. It reminds me of when I fought Josh McLaren for the Midlands Area Title. We were both undefeated at that time and both seen as prospects. I got the win that time and I plan to have my hand raised again on July 24th. “The English title is a massive belt. Imagine bringing that back to Bloxwich? It’s what dreams are made of. 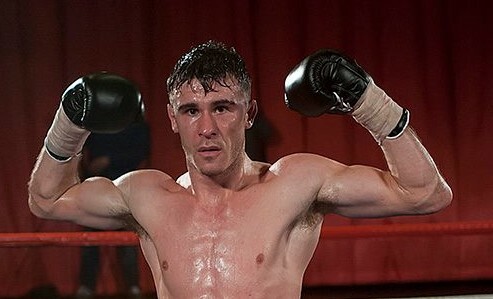 The winner will have to make a first defence against Joe Hughes, who has been given the mandatory position for the crown due to him being forced to relinquish in the aftermath of his WBO Intercontinental title defeat to Jack Catterall. Fellow Ricky Hatton trained fighters, Wednesbury welterweight, Sam Evans, and Market Harborough super welterweight, Reuben Arrowsmith, also feature alongside Derby’s Sahib Singh Mann who is set to make his debut. Swadlincote super middleweight, Zach Parker, Burton featherweight, Leon Gower, and Newark super middleweight, Chad Sugden, complete the card. The show takes place at Chase Leisure Centre, Stafford Road, Cannock, Staffordshire, WS11 4AL. Tickets, priced at £30 and £60 Ringside, are available by calling 01543 504 065. The show takes place on Sunday afternoon with doors opening at 12.30pm. The Monster is back on September 4th!